11ºC inside a house, in bed and under a thick blanket, is bearable. 11ºC inside a canvas-covered steel structure is not. It’s cold. Stepping out, it’s worse. The chill of the cold mountain wind is biting. But I have to hit the road. Destination: Lishan, or Pear Mountain. 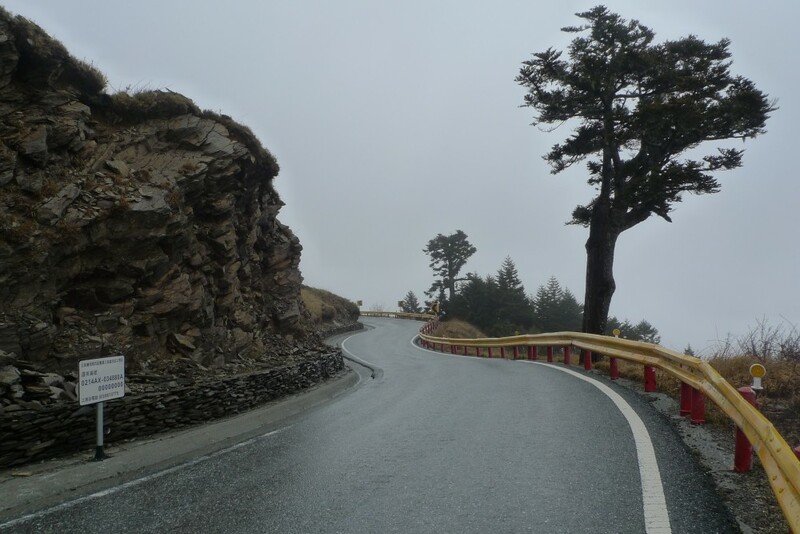 It’s a long ride up the highest motorable road in Taiwan — the Hehuanshan road, over Wuling Pass and down the other side. There’s no sun. Only cloudy overcast skies. Breakfast is another complimentary meal — toast and coffee, prepared by the motherly Mrs Tan. The Tans are such lovely people. Kind and unassuming. People like them really do make my day. 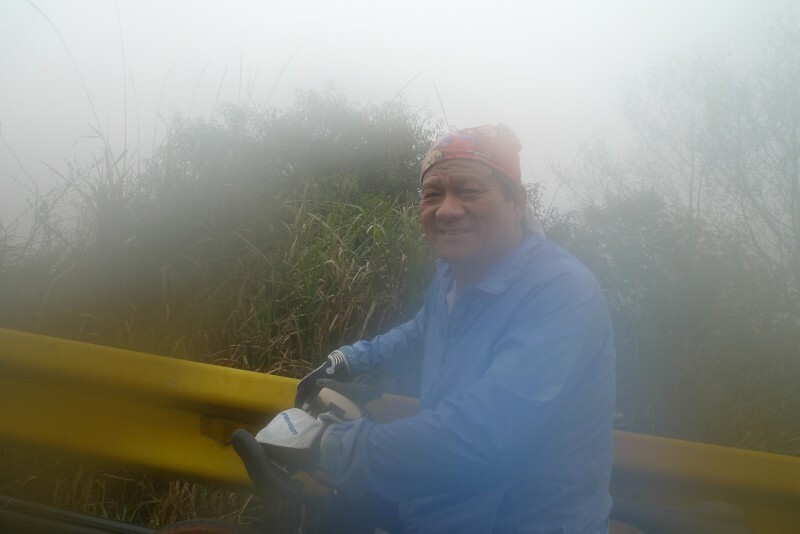 I make my way up the steep access road … pushing the bike up, rather. 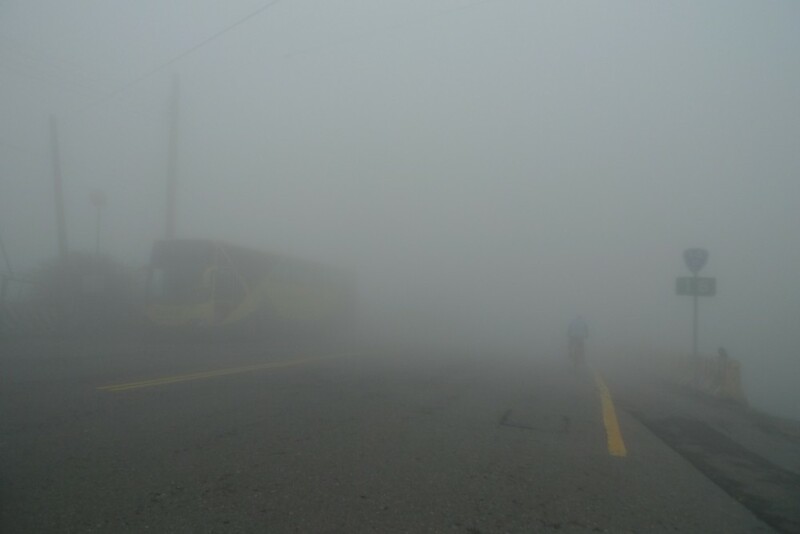 On the road, visibility is limited to less than a hundred metres. 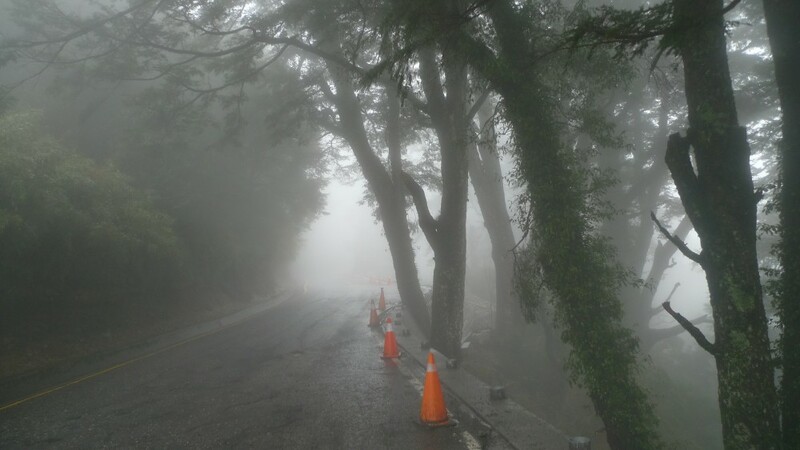 The scenery is all but enveloped by heavy mist. I’m resigned to another cold, miserable, uninspiring ride; made worse going uphill. 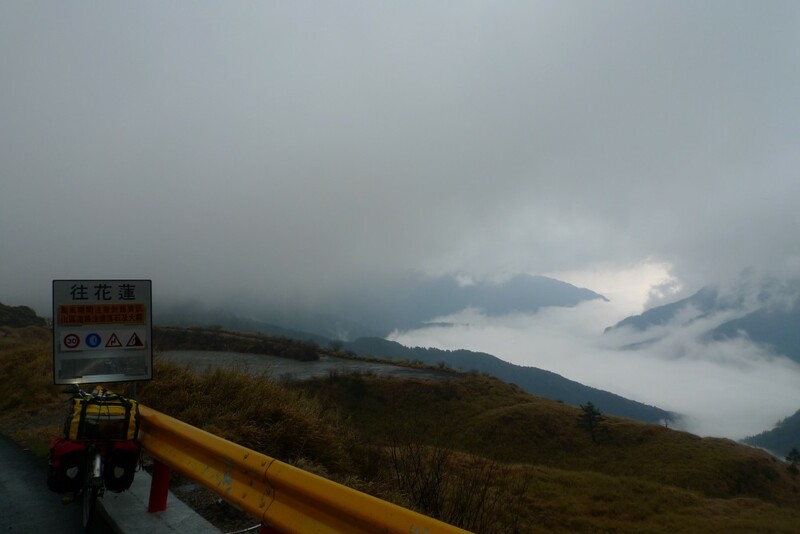 The only thing I’m looking forward to is the crossing of Wuling Pass at 3,275m. 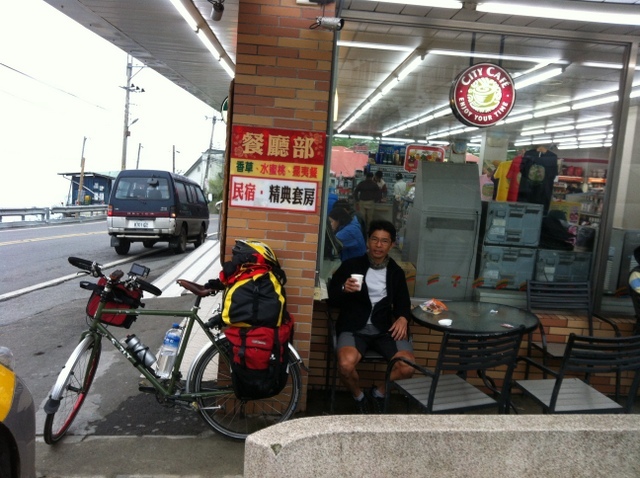 A little further down the road, I make another breakfast stop — at a 7Eleven. 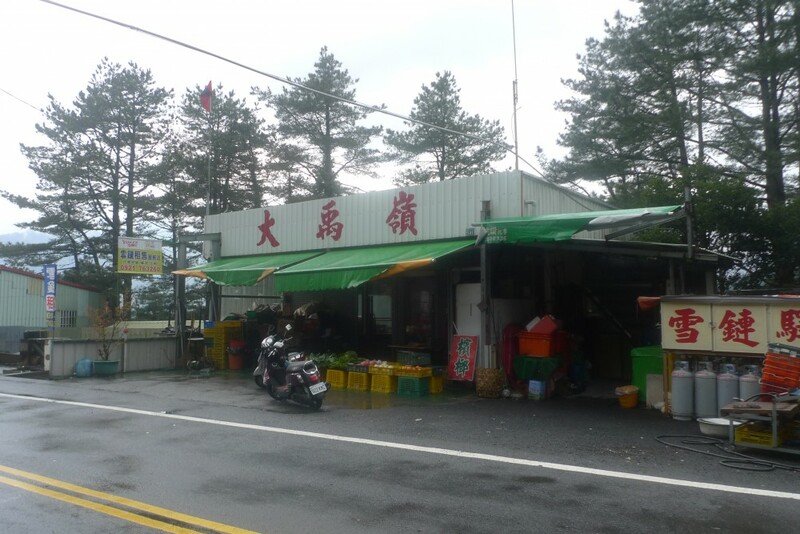 Of the almost 5,000 stores in Taiwan, this one boasts of being the highest on the island, at just over 2,000+ metres elevation. 7Eleven’s coffee is not too bad (as far as picky coffee drinkers are concerned…that would be me, of course). But then again, food and drink always taste better when you’re riding in such weather. 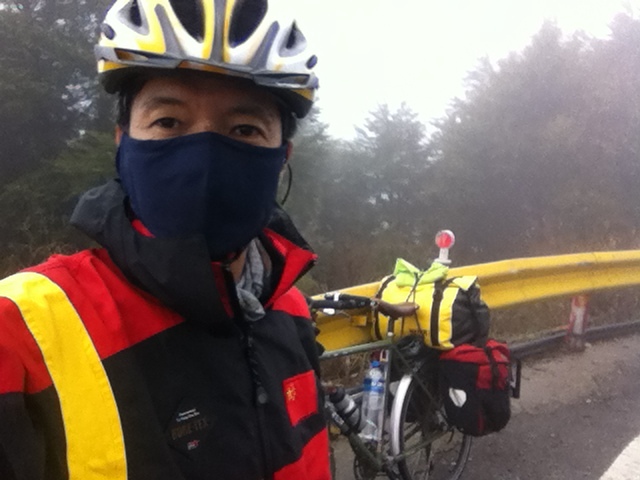 Back on the road, the slow cold climb makes … slow cold progress. The only thing that piques my interest is the sight of a lone cyclist on a mountain bike. Like me, he’s making the same slow cold progress. 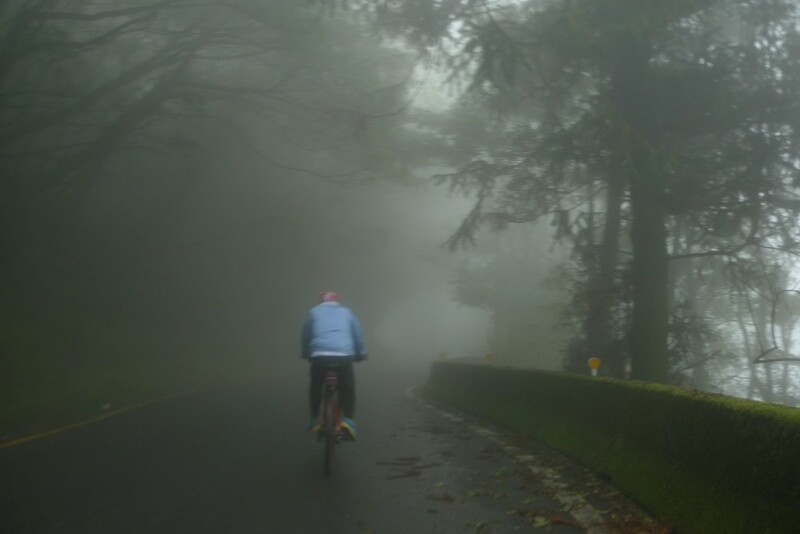 He’s an elderly gentleman, heading towards Wuling Pass, as most cyclists making a day-trip are. The missus is manning the sag wagon, just in case. I ride together with him for a while and soon, we come upon his #1 fan, standing next to a car parked by the side of the road. Soon after this, as I stop to rest, I realise with horror that I’m missing my money-pouch, usually strapped and tucked half-hidden in the back of my pants. What makes me panic eve more is the realisation that my most valuable item, my passport, is inside the pouch. As it is, I’m already 12 kms from Cing Jing and the thought of riding down, and then up again, is not a very encouraging one. But, what else can I do? I call Mrs Tan and tell her of my predicament, and can she please check out the last place I was there with my pouch, the outhouse toilet? She calls me back a few minutes later and tells me yes, it’s still there. It’s a good thing it’s off-season and practically empty of campers otherwise….. I don’t even want to think about it. I find a nice wide section of a corner and I wait. It’s cold so I jump, and walk around a bit. It’s a good thing I’d bought a face-mask yesterday, in anticipation of the long run downhill in the cold. This is even better than the Buff that I normally use. Pretty soon, my saviour Mrs Tan arrives in a car, driven by a man who turns out to be one of the owners of the campsite. She hands me my pouch and asks me to check the contents, saying she didn’t open it to see what’s inside. I will always remember her as the silver lining in the dreary dark clouds of Cing Jing. If any reader of this blog intends to visit Cing Jing, I cannot recommend enough the Yang Chiow Choon campsite run by the Tans. They are real gems. 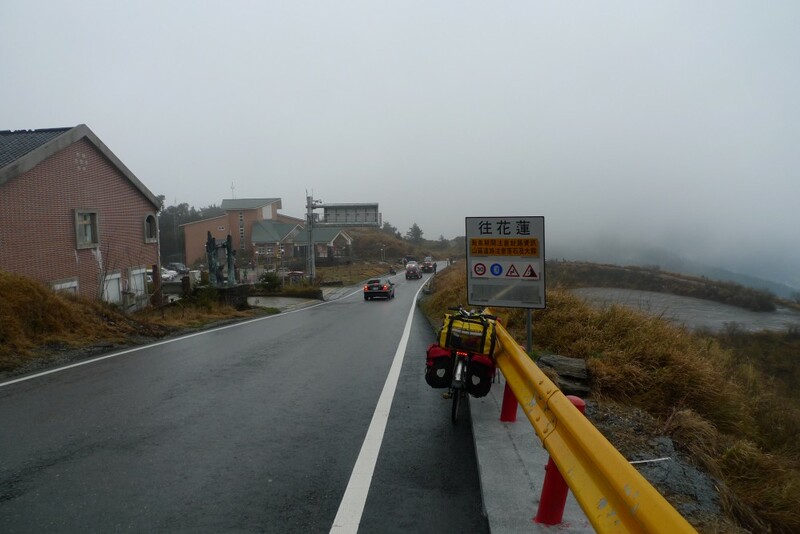 Back on the road again, pedalling with a sprightlier cadence in spite of the near-zero visibility, I can tell Wuling Pass is getting nearer. But as the elevation increases, the temperature is decreasing… its colder, with a brisk wind and slight drizzle — a potent combination to dampen any spirit. At the mist-covered pass, there are many people milling about. Everyone is dressed to the gills — fur-lined jackets, scarfs, balaclavas, hats, gloves, even rain-coats — but most of all, everyone is wearing long pants…duh!…except me. 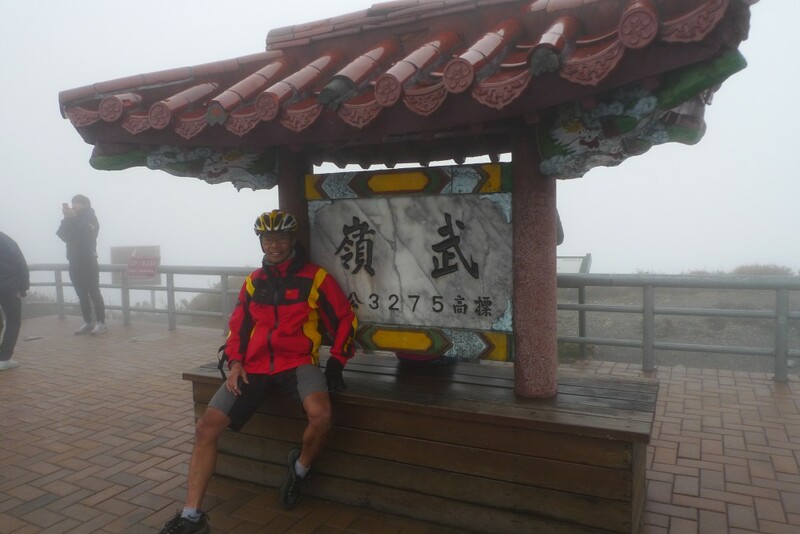 Who in his right mind would wear shorts on a frigid day like this, riding up Wuling? Can’t do much about the dress code now, even if it’s 5ºC. 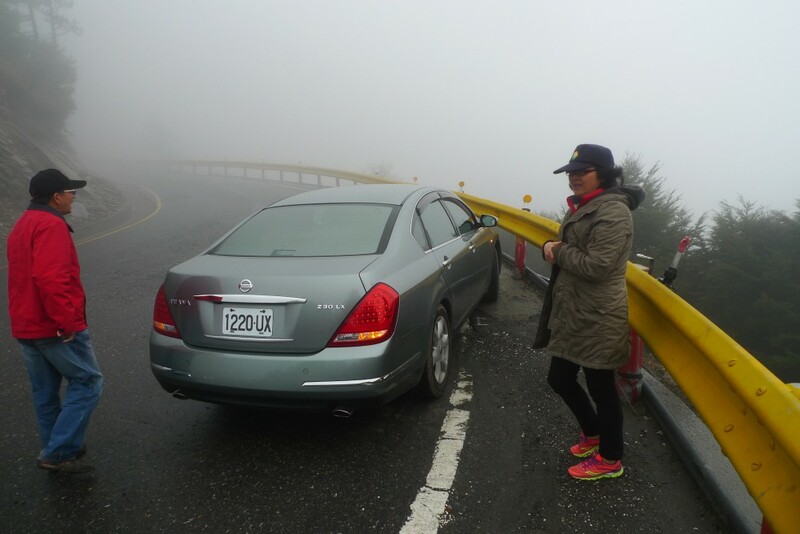 Might as well do the Wuling Pass thing like everyone else — pose for a photo at the signboard proclaiming the spot’s elevation. 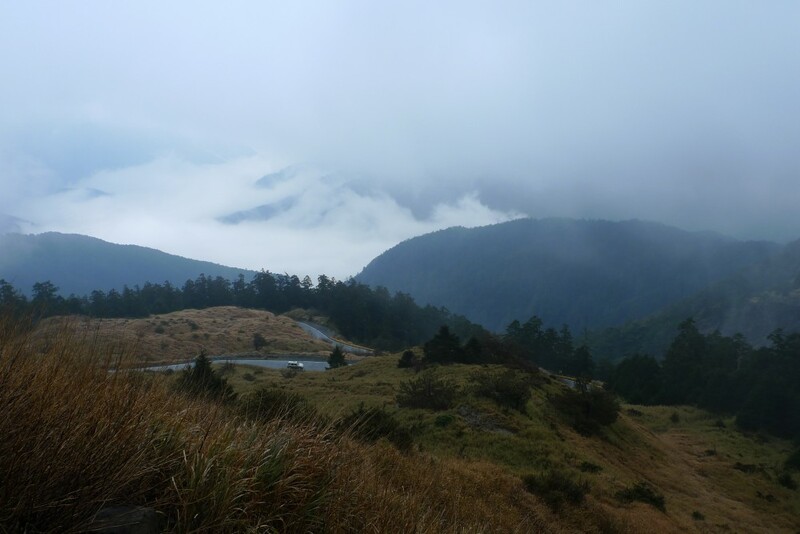 A respite in the weather … the mists clear a little and I can see a bit of the famed Wuling scenery. In better spirits now that I’ve conquered the highest pass in Taiwan, I get ready to roll all the way down to Lishan but, the weather gods are not done torturing me today. It starts to rain again. I descend anyway. Hanging around at this frigid place is not an option. Many times I have descended in the cold, and always, it’s very demoralising. Today is no different. My fingers are numb, my knees are numb, my face is numb in spite of a mask, and I’m shivering with cold while I negotiate the switchbacks at speed. I have to be very, very careful riding these wet roads. It helps that the traffic is light. After a long descend, I come to a junction. It’s a tiny town called Dayuling. I’m already beside myself with cold, and I see a nondescript shop ahead. I head straight for it and, stepping in, I see a few men sitting around a coal brazier. Without a word, I sit next to it, immediately feeling the comforting warmth of the heat. 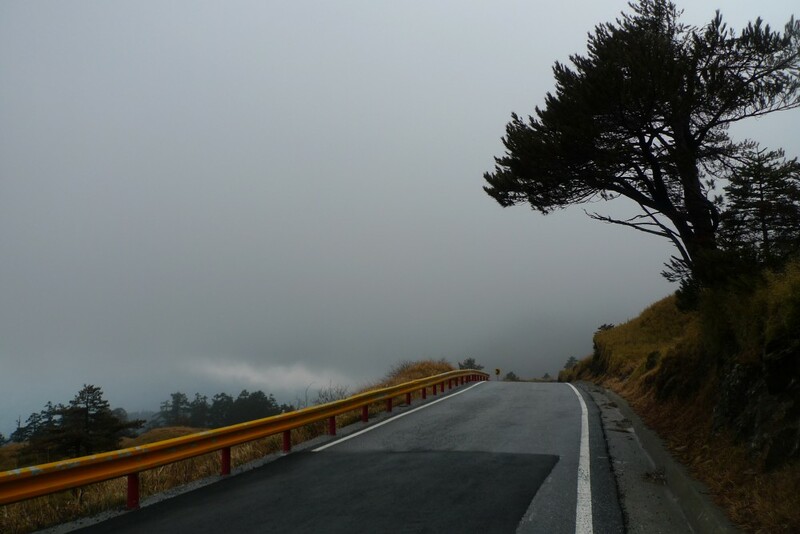 One of the man has an incredulous look on his face, and after finding out if I had come down from Wuling, scolds me …”Are you mad, riding down the mountain in shorts?’ Well, what can I say except give him a stupid smile. I ask for a bowl of noodles but they only had the instant kind, which is fine by me. The steaming hot, salty delicious noodles at that particular moment defy description. As Browning puts it, all’s well with the world… again. After that gratifying thawing session, I make my way towards Lishan, not very far away now. 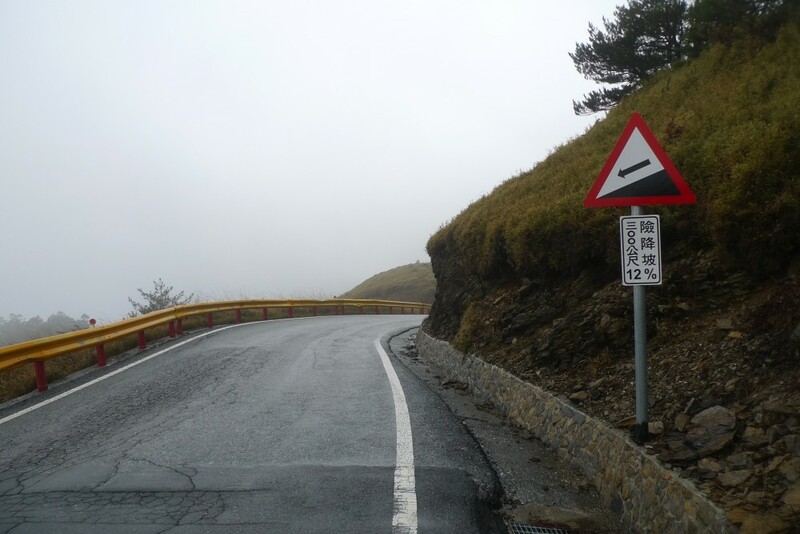 The road is narrower than the one that points down from Wuling. It’s almost deserted, save for a few cars. All around, it’s lush greenery. Camping, even if I were to find a decent spot, is the last thing on my mind. I want a hot shower and a warm bed tonight. 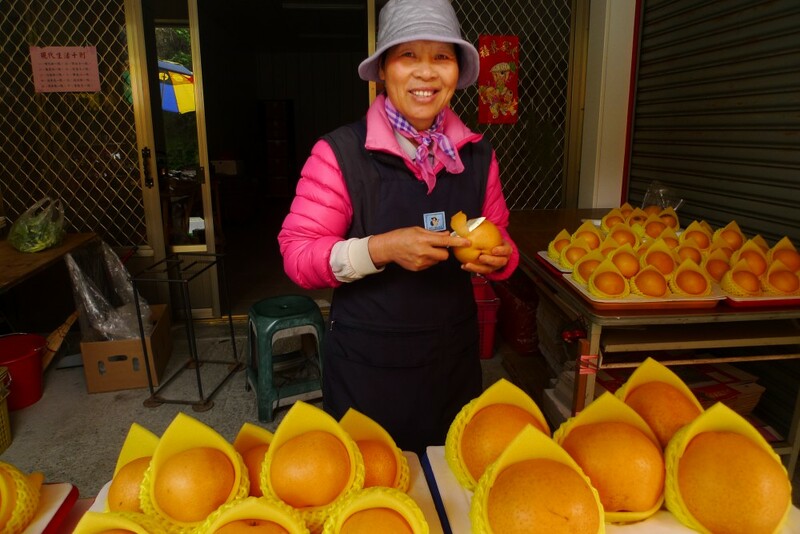 I check into the first decent hotel I see in Lishan, a quiet town famous for pears. 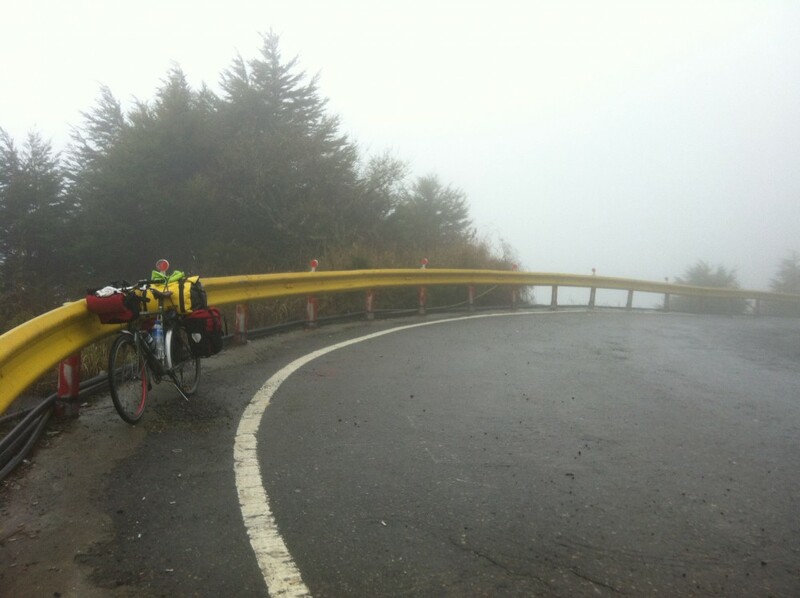 Tomorrow will be an easy ride downhill all the way to the plains, and the last bit by bus to Taipei. I’m looking forward to joining my friends from Singapore for the next segment of my tour. 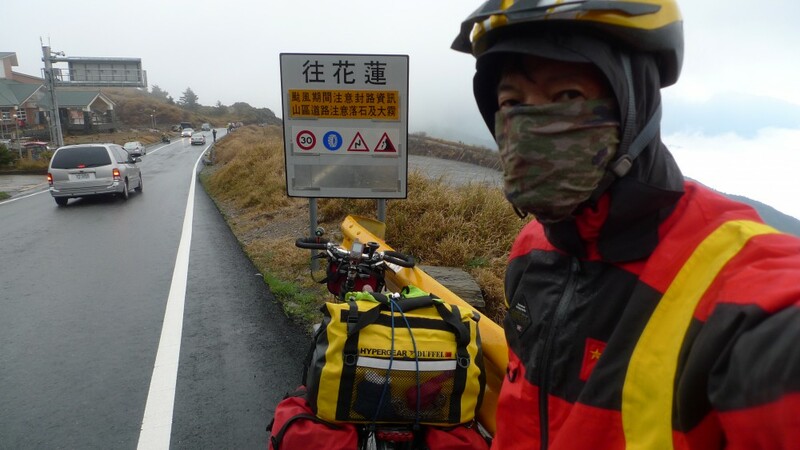 Unlike my usual touring style, next week’s ride has been professionally planned by ride leader Ying Chang, the born-in-Taiwan Singaporean who considers this island his cycle-touring mecca.